Have you damaged the screen on your laptop or netbook? Unfortunately this is very easily done and once the screen is slightly damaged, it only gets worse as the crack will get larger as the laptop is opened and closed. 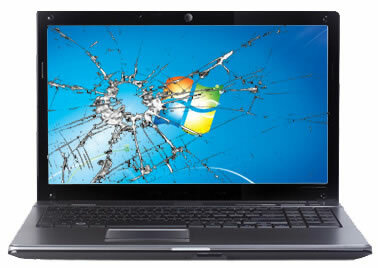 Luckily we can replace the laptop and netbook screens for you and have them looking like brand new again. Prices for screen replacements start from just £50 including the screen. The exact cost will depend on the model of the device and the size of the screen. If you would like your laptop or netbook screen replacing, please contact us today and let us know the laptop make and model (taken from the sticker normally located on the underside), and we will let you know the fully fitted price.